I stayed for five month at kunyu mountain martial arts academy to study wing chun.I wanted to see something new and make new experience in the chinese kungfu,so I am here. For me,the Taichi and the Wing Chun training is a big gain. Training here is hard but good. 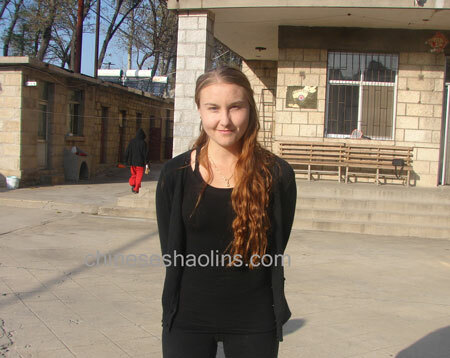 The master and the translator are very good and helpful.The mountains, the lake and the people are very nice. Yantai is also nice but very big. Stephen (France) One year from Sep 2013 to Sep 2014. 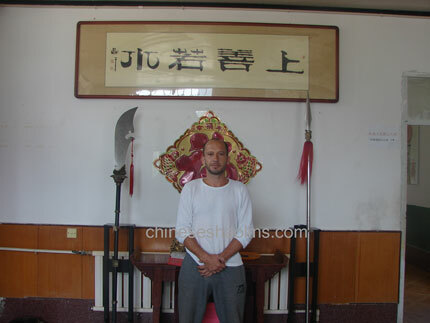 I decided to come to China to study Kung Fu because China is the home of Kung Fu and to figure out my limit and help me to move forward in the future. Ⅱ. I lost some stress (I was a much stressed full person and Kung Fu helped me to release some of it. Ⅲ.Fears, some as stress Kung Fu helped to get over some of them. IV.I learned Qigong and meditation. That’s essential to a good healthy life style. During my training: everybody has been helpful to me, masters and experienced students are always here for you if you are in need.Training is good and hard.Masters and translators are great and very good people.The surroundings of the academy is beautiful and Yantai is a gorgeous city.